Travis Frink, accused of shooting his mother to death when she was intensive care at Dartmouth-Hitchcock Medical Center, was arraigned Wednesday. The fatal shooting of a patient at Dartmouth-Hitchcock Medical Center has prompted changes to security at the hospital, as well as policies on employee communication, education and training. 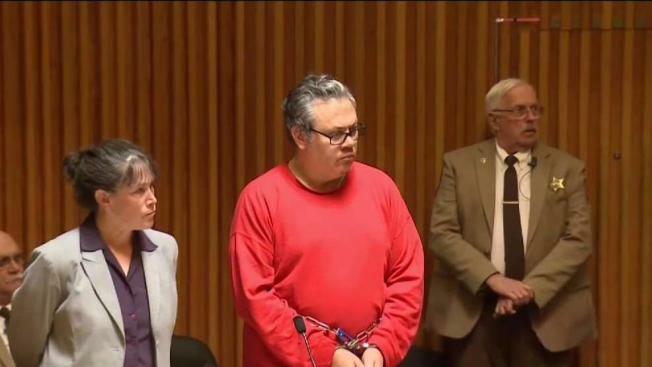 Forty-nine-year-old Travis Frink of Warwick, Rhode Island, is accused of killing his mother, 70-year-old Pamela Ferriere, of Groton, on Sept. 12. She had been a patient at Dartmouth-Hitchcock's intensive care unit. The Valley News reports that hospital officials have decided not to install metal detectors or hire armed guards. Instead, they've made changes such as having a security guard monitor the waiting room outside the unit and updating online training and videos to prepare for emergencies. Instead of being told to "run" when an active shooter is present, they will be told to "avoid" the incident, which might mean staying in place.